Join retailers like Lowe’s and Global Industrial and become an authorized Perk Products distributor today. Since 1937, family-owned and operated Perk Products has been a leader in the chemical development and manufacturing industry. 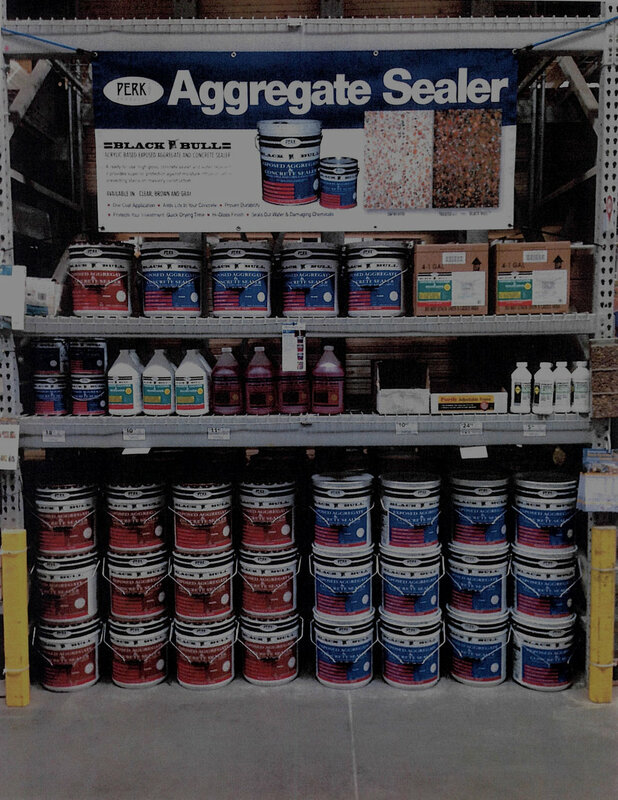 Our full line of concrete sealants, stains, waterproofers, releases and additives; brick and tile cleaners; truck washes, acids, and industrial chemicals; Forta-Ferro concrete reinforcement fibers; and pool salts, water softening salts and ice melts are contractor-grade and perfect for industrial, commercial and residential use. We serve businesses and families throughout the United States. Our distributors benefit from dedicated customer support and top quality chemical products. Join our family of trusted retailers today.